Sabeo would like to thank all who attended our recent webinar to understand how Veritas Enterprise Vault can help you manage your data in compliance with the new GDPR law. 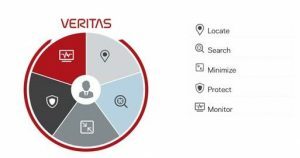 Information Governance product portfolio – Veritas enables organizations to make informed decisions about all of the information they store. The integrated Information Governance portfolio synthesizes intelligence across unstructured data sources and facilitates action to ensure organizations are best positioned to counter information risk.